Bifacial solar modules have become viable alternatives to traditional solar panels in recent years due to their superior production efficiency and compatibility with a wide range of accessories. Whereas classic monofacial panels only receive sunlight from one side, bifacial solar panels expose cells on both. As a result, they capture additional energy and yield much more power. Estimates of how much more productive a bifacial panel is than a monofacial one vary, and the amount ultimately depends on the solar tracking system and inverter technology paired with the module. A bifacial solar panel on its own might boost light capture by 10 percent, but the addition of a single-axis tracker could raise the overall gain to 30 percent. Obtaining the panel, tracking system and inverter through a single provider like Trina Solar – via TrinaPro – is the best way to ensure a synergistic, high-efficiency deployment. The core of bifacial solar modules is usually passivated emitter rear cell (PERC) technology. PERC adds layers not found in monocrystalline cells. These additions allow for the absorption of sunlight that would pass through conventional panels and be wasted. With PERC, there is more than one chance to absorb this light and transform it into energy. The substrate behind the bifacial solar panel, such as highly reflective, lightly-colored rooftop or a mass of white stones, is essential to enabling these extra opportunities to harness reflected and scattered sunlight. A solar tracker allows an installation to adjust to the movement of the sun and the time of the year. This permits more efficient, extensive and consistent energy capture, which is especially useful when the sun changes position in the sky during summer and winter. A bifacial solar system with an included tracker had 27 percent greater efficiency than a set of modules with no tracker in a study documented by GTM. Adding a tracker to the non-bifacial panels narrowed the gap a bit, but only to 14 percent, showing that the best results come from using both a bifacial module and a tracker. With TrinaPro, customers get trackers that are highly reliable, easy to install and suitable for many possible operating environments. Plus, the Trina team provides professional project engineering and management to ensure the entire system is properly installed and ready to go. Inverters transform sunlight into usable power. Their maximum power point tracking (MPPT) capabilities determine how well they can generate electricity under all conditions, similar to how the transmission of a vehicle adaptively ensures optimal application of engine power. Thanks to the high-speed MPPT of the string and central inverters available through TrinaPro, owners of commercial and utility-scale solar projects can tap into additional power gains throughout the year. Bifacial modules paired with top-notch inverters and trackers can deliver a more efficient overall solar deployment, requiring fewer modules to produce more power than traditional panels. 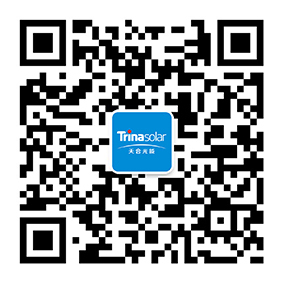 With over 20 years of industry experience, Trina is a trusted supplier of solar solutions worldwide. View our main products page to learn more today.